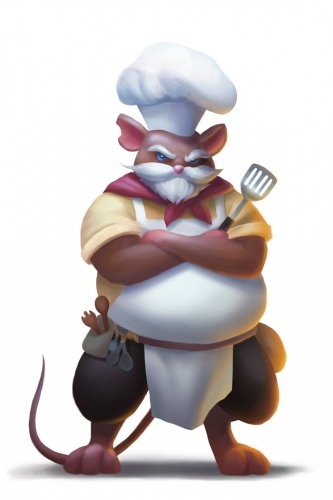 The Cook Mouse is a breed of mouse found in the S.S. Huntington IV. It is known to drop Ancient Relic as loot. The Cook Mouse has been found to be particularly attracted to SUPER|brie+ cheese, to the point that any other kind of cheese will simply not suffice. The Cook Mouse drops the Cook Egg during the annual Spring Egg Hunt. 14 April 2011: The Cook mouse began dropping the Green Plaid Egg as loot for the Spring Egg Hunt 2011 event. 14 April 2011: The Cook mouse began dropping a bonus Cook Egg as loot for the Spring Egg Hunt 2011 event. 29 August 2012: The Cook Mouse began dropping the Ancient Relic as loot. This page was last edited on 2 January 2019, at 13:28.